No time for roses and chocolates, just shots and burps. We’re clinking our glasses to our exes, wherever the hell they may be today. If you’re in love right now, you’ve got plenty to thank your exes for. If you aren’t, give it a few drinks. 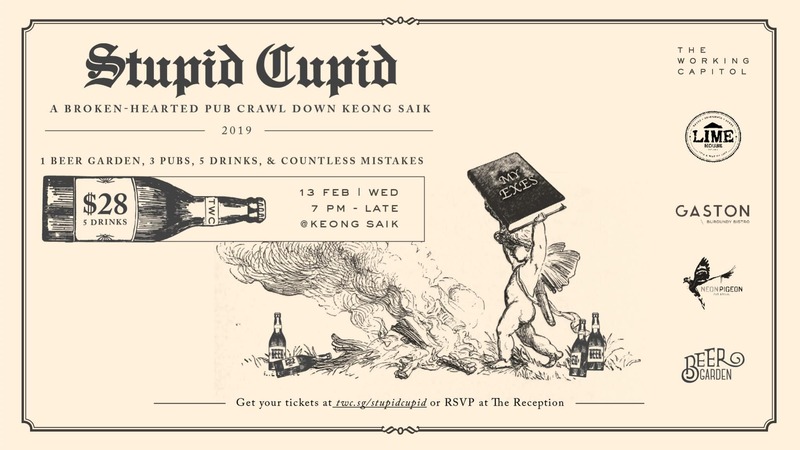 5 drinks, prizes to be won, kisses to be shared, and top class encouragement for you to ask your eye-candy out then and there – all for $28. Sound good? Great. Thanks for nothing, Cupid.